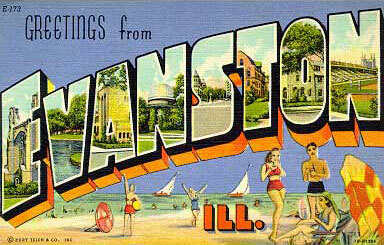 A baguette with roast beef, then a cookie, then a croissant … – Greetings from Evanston, Ill. Via Lindsay, under a “Only if you already ate” title: “If you’re hungry, don’t read this: why Al’s Deli is awesome, a thread on the biggest Chicago food-loving web site.” If you have not eaten or you’re not hungry, you should still read the thread because the suffering is just so good. I read the thread late last night here in my apartment, which Google Maps tells me is 715 miles and 11 hours 56 minutes from 914 Noyes Street. We have an Earl’s Sandwiches that is good but no Al’s. I occasionally have dreams about Al’s sons and their piled-high sandwiches. Until reading the forum, I forgot about the frosted vanilla sugar cookies. Oh my, that photo is just evil. Al’s is worth a flight from D.C. I’m just sayin’. You speak the truth on all counts. If we ever get a Ryanair flying out of DCA, we’re going there for lunch once a month.